If you’re planning on building a new website or a blog you may come across many different platforms for making websites. Two of the most popular options you’ll see in almost every list are WordPress and Weebly. Both these platforms have their own merits and features that make them special in their own ways. However, most people may feel more intrigued by Weebly than WordPress since it offers a more beginner-friendly experience and affordable pricing plans. You shouldn’t jump to conclusions before doing proper research. 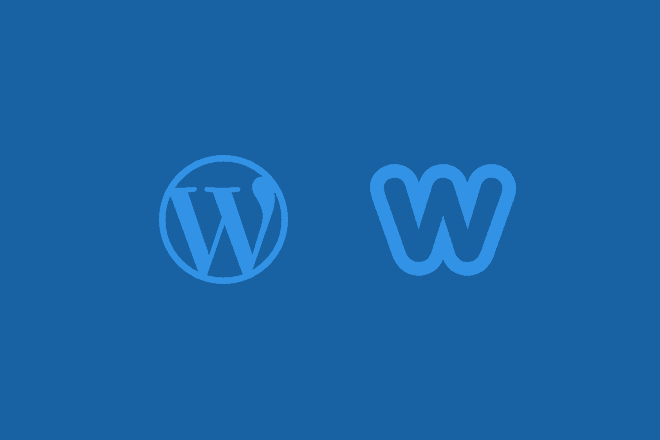 In this post, we compare the main features and the differences between WordPress and Weebly to help you figure out the best platform to build your website. The main difference between Weebly and WordPress is that one is a software and the other is a platform that offers the software as a service (SaaS). While you can download WordPress software for free and build the website anywhere you want, Weebly is only accessible to its registered users and requires a monthly subscription to keep your website up and running. Weebly offers an all-in-one solution where you can build your website, connect a domain name, and host it in the same place with just a few clicks. With WordPress, the software comes for free, but you have to buy a theme, hosting, and a domain name separately to build your website on your own. Compared to Weebly, WordPress seem like a lot of trouble to go through. But, the freedom to have full control over your website, extend its features however you like, and not having to abide by the rules of a corporation, makes it worth more. Weebly offers a very beginner-friendly experience in building websites. In fact, the drag and drop front-end editor is one of its key selling points that attract more people towards it. Using the drag and drop editor you can either build your own unique website or pick a template from Weebly’s library and customize it to make your website quite easily. The downside is that Weebly only offers a very limited number of templates to choose from. WordPress, however, offers a more flexible solution with its pre-made themes. With WordPress themes, you get thousands of options to choose from and you can install these themes easily with just a few clicks. You can also customize or design your own websites using page builder plugins like Elementor, which offers the same (or rather improved) drag and drop experience as Weebly. Ever since it was acquired by Square, Weebly shifted its focus from building simple websites to building eCommerce websites. Although, Weebly still offers solutions for building other types of websites as well, including blogs. You can use Weebly to setup a simple blog with limited features. You won’t be able to customize your blog however you want. Which makes it a more suitable option for making personal blogs. If you’re looking to build a professional blog with plans of monetization, WordPress is the best option for you since it offers more freedom to monetize your blog or website however you want. You can show ads, sell products, accept payments, build email lists, and craft beautiful blogs posts using a single dashboard. With Square’s integration, Weebly now makes it easier to setup a shop, especially for bringing brick and mortar stores online. The platform offers a collection of templates optimized for making online shops and offers a simple all-in-one solution for managing orders, payments, and shipping from one place. Weebly is the perfect solution for making small and niche online stores. It’s also a great platform for social media influencers for selling their merch and products with ease. While the initial setup process can be slightly more complicated, WordPress offers more advanced eCommerce solutions for making online stores. In addition to being able to choose from professionally designed eCommerce themes, using WordPress, you’ll also be able to build shops with multi-vendor support, integrate more payment processors, get better insights with advanced analytics, use advanced marketing tools for upselling, and more. 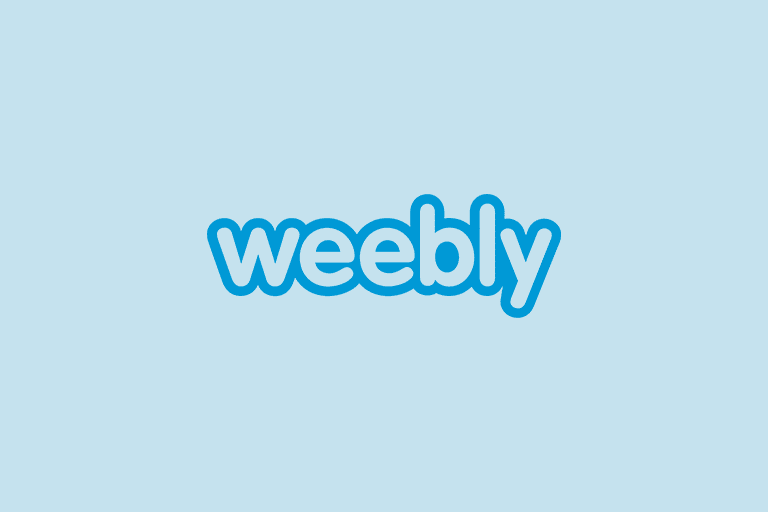 Weebly offers a free plan that allows you to setup a website with limited storage, Weebly branding, and a Weebly.com subdomain name for free. It’s one of the features that makes it more attractive to new users. Weebly premium pricing plans start at $5 per month, which lets you connect a custom domain name. But, Weebly will still show branded ads on your website. To remove these ads and get more than 500mb storage, you’ll have to subscribe to the $12 per month plan. If you’re setting up an online store, transaction fees for payments will be charged separately. When using WordPress, you’ll have more freedom to choose a hosting provider with a pricing plan that fits your needs. For example, hosting companies like Siteground offers high-quality managed WordPress hosting plans starting at only $3.95 per month. It also gives you the ability to upgrade your plans as your site grows and not get restrained by a fixed price. Since WordPress is a free software, customer support is virtually nonexistent for the platform. If you run into some trouble using the CMS, the only hope you’ll have of support is to create a post in its community-managed support forums and hope for a reply from another user. Weebly, on the other hand, offers 24/7 around the clock customer support where their teams will guide you through any problem you come across. This doesn’t mean WordPress users have to do everything on their own. Depending on the hosting provider you choose, their technical support team will often offer a helping hand in times of need. While this comparison makes WordPress look like the better option, Weebly can still be a great option for complete beginners who are looking to setup a simple website or a personal blog without having to deal with too many complications. Of course, nowadays you can easily learn anything online. If you’re up for watching a few YouTube tutorial videos and willing to learn how to use WordPress, it will offer you a more independent and flexible approach to building a website, blog, or a shop that’ll serve you for a long time.